As the Marine Corps Marathon approaches, training runs are getting longer. So when should you start eating during runs? And what's the best type of food to fuel you? A dietitian has the answers. WASHINGTON — Training for a race isn’t just about running — it can be about eating, too. As the Marine Corps Marathon’s October start nears, training runs are getting longer. The importance of fueling properly during those longer workouts can’t be understated — including runs where mileage reaches double digits, said Andrea Goergen, a clinical dietitian at MedStar Washington Hospital Center. 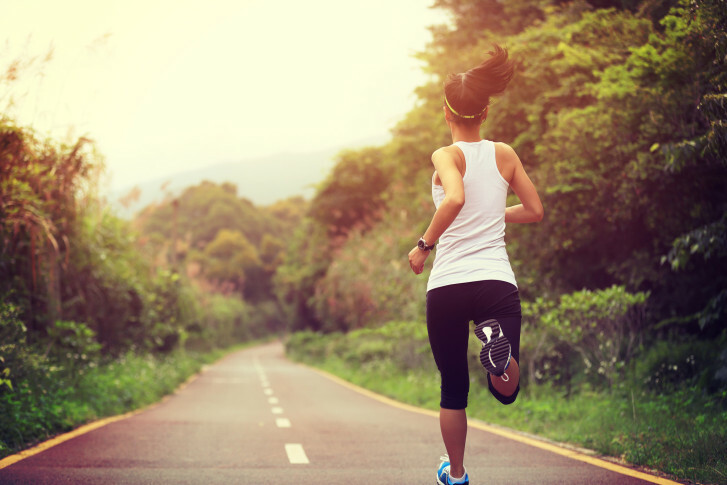 While different tastes and dietary restrictions may dictate what some people eat, there are guidelines that can help runners and all athletes alike make it through longer training periods. After an hour of exercise, runners should consider getting some sort of fuel, Goergen said. The best options are simple carbohydrates. “[You want] something that is going to turn into energy very quickly and hopefully replace what you’re running out of when you’re burning through your glycogen stores — that’s the form of energy your body uses when you’re exercising,” Goergen said, adding that glycogen stores typically run low from 60 to 90 minutes into exercise. Every hour after first hour of running, the body needs 30-60 grams of carbohydrates per hour. But how runners get that depends on the person, preferences, weight and how much energy is exerted, Goergen added. 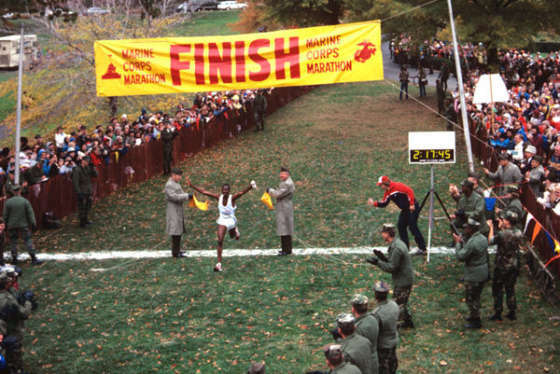 Look back at more than 40 years of photos from the Marine Corps Marathon, including winners, volunteers, Marines, spectators and thousands of runners.